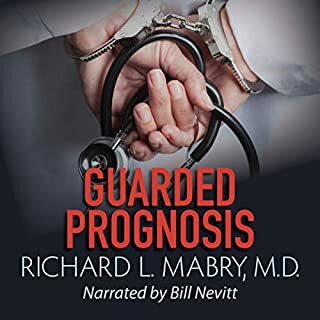 I wouldn't call it a medical thriller but more of a suspense novella. Mr. Alba was not a client Jack Harbaugh wanted. Jack was pressured to take him to get his traffic case dismissed. Alba explains to Jack that he didn't want the law watching him and revealed he was a key figure in a gun-buying scheme. When Jack tried to stop him from sharing this criminal activity, Alba threatened Jack that if the buy didn't happen both of them would end up dead. Jack's wife, Dr. Kelly, is afraid their marriage is falling apart when Jack becomes silent. He brushes her aside saying it was just a client and he couldn't talk about it. When they both leave for work, Kelly finds a dead man in the driveway and demands Jack starts talking. With the police involved, Emergency Case has plenty of plot twists and turns to the very end. Bill Nevitt does a fine job of narrating this story. I fell in love with this sweet story. 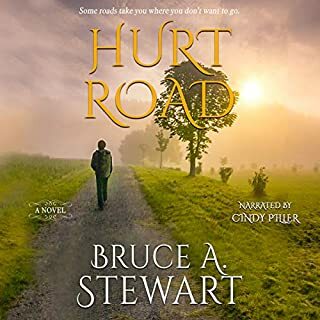 Hank’s life is thrown upside down when his parents die in a car accident and goes to live with his grandparents on Hurt Road for a time. Hank falls for Becky who is off limits, not only because Carl has claimed her has his girl, but because of a tragic accident that happened years ago that caused a rift between Hank and Becky's families. Years go by when Hank returns to his grandparents’ hometown of Crosscut. To Hanks surprise, Becky is now a widow with a young son. One thing hasn’t changed over the years, Hanks love for Becky and Carl’s desire to have Becky. This is a nice story with good character development. It also has a bit of romance and suspense to keep your attention. Cindy Pillar does a nice job narrating the story. I received this book for free in exchange for an unbiased review. Some secrets aren’t meant to stay buried forever. 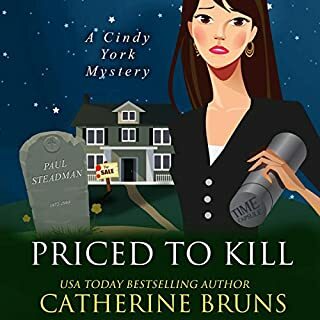 Real estate agent and super sleuth Cindy York has always been haunted by thoughts of her childhood friend, Paul Steadman, who committed suicide 25 years ago. A high school reunion and the prospective sale of his former home - where Cindy was the one to discover his lifeless body - bring the memories back in full force. But Cindy gets more than she negotiated for when new information comes to light that convinces her Paul’s death was anything but self-inflicted. Cindy York was adamant that she was not going to go to her 25th class reunion. After all, that is where her best friend Paul supposedly committed suicide and she hadn't been to the house since she found his body. When Paul's brother calls Cindy to ask her to reconsider and then offers to let her be the listing agent for the sale of the mansion, Cindy quickly changes her mind. At the reunion, the class opened up the time capsule that they buried when they were seniors and the mystery is on. Catherine Bruns writes a fun tale with likable characters with quirky personalities. Amy Deuchler does a good job narrating the story. She has an easy listening voice that makes the story enjoyable. 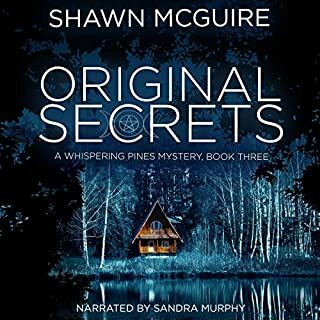 Original Secrets starts off with a murder in the town Whispering Pines of Barry but the details got lost with all the characters and oddities. There’s a bit of romance but I found that to be more of a crush than a romance. As Jayne the sheriff of Whispering Pines sets out to find out who murdered Barry, many characters are revealed that sort of muddles the story. Witches, spells and the meditation circle, are just a few of the twists and turns that add more questions for Jayne to dig into. Jayne searches the history of the town and delves into her grandmother’s journals, where more secrets of the town are revealed. Things aren’t what they seem and neither are people. The narration of Sandra Murphy is okay and her voice is pleasant. Here character voices tended to ran into each other and weren’t overly distinctive. This book wasn't what I expected nor quite my style. With that said, the writing was fine, a little simplistic and repetitive. The narration was okay, nothing outstanding or notable. Dr. Caden Taggert is being questioned by DEA agents about an extraordinary amount of narcotic prescriptions being prescribed by him. Although the DEA agents did not have a warrant to search the doctors' records or premises, Dr. Taggert gave them carte blanche to search the place and embed themselves into the practice. While all of this is going on his father, Dr. Henry Taggert has been diagnosed with pancreatic carcinoma. Both father and son are headstrong males that want to do things their own way. I found situations in the novel a bit simplistic and the younger Dr. Taggert nieve. With the epidemic of narcotic abuse, I found it a bit odd that the DEA numbers of the doctors were posted for anyone to see or that Caden wouldn't know a lawyer or have the common sense to call one when the DEA agents started asking questions. The narration by Bill Nevitt was okay, nothing too great and not too bad, stilted at times and not much variation between character voices. 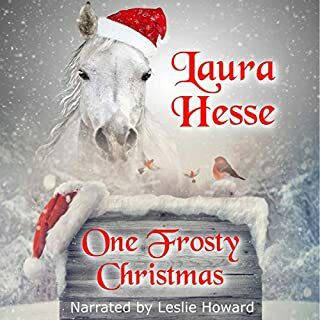 One Frosty Christmas is a sweet Christmas tale to warm the heart. When Hannah moves from the city to the small town of Riverbend, she stood out as different being as an amputee. As Hannah goes to school each day on the bus, she sees a neglected pony that she falls in love with. Feeling the Frosty's pain, Hannah is determined to save him with the help of her friend. The story is tender and touching, with lessons to learn. Leslie Howard is an excellent narrator, bringing the story to life. Megan Daniels was only three years old the day President John F. Kennedy was assassinated, but flashes of that day begin to trigger other disturbing memories. At first they are merely snippets, but then they begin to appear more frequently. In her attempt to learn more, she sets out to find her biological mother, but keeps hitting brick walls. No adoption papers exist, and all she has to go on is her possible birthday: November 22. In the small town of Meredith, California, Megan’s search takes on a dire, domino effect - one woman has already been murdered as a result of her inquiries. I wanted to like this book and started to, but even as it drew me in it lost me again before the end and the narrator didn't help. This was a different kind of mystery with many sub-stories and several characters that converge at the end. It has intriguing qualities, although it becomes confusing with the number of characters and situations that are going on. The narration did not work for me. Su Meck does a nice job as Megan, but the rest of the characters not so much. Touching, captivating and so beautiful. 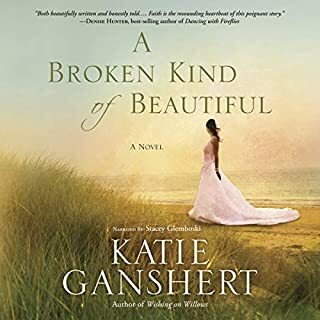 A Broken Kind of Beautiful is well written, the characters have depth and the dialog is very believable. There is a very raw aspect of Ivy, a person who is jaded by the modeling world, old because the industry says so and hurt by rejection. All those things make her so real. Being so use to being used, Ivy thinks men are her drug of choice, a way to get what she think she wants that she has no idea of her own self-worth or what real love is. There were times I really didn't like Ivy. She could be harsh and blind to those who really cared for her. And other times I found myself crying for the hurt in her. 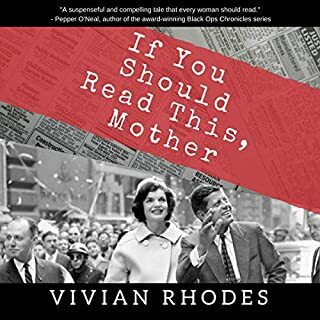 There are so many great characters in this book, the loving step-mother, the using uncle and the photographer who could see deep into the real person of Ivy Clark. My only criticism of this book is the epilog. With all the characters being so distinct, it would have made a nice series. Stacey Glemboski does an excellent job narrating this book. Each of the characters has a voice. She is easy to listen to and adds nuances to the book making it so much more enjoyable to listen to. I liked this book so much that I have already purchased another book from this author with the same narrator! Quille, better known as Q.C.Davis is a 32 year-old Chicago accountant turned lawyer, who sings on the side. I found Quille to be very likable and for the most part believable, although I think a person like her is a little far-fetched in reality. Accountant, lawyer, singer, and actress all by the age of 32, maybe a bit much. The book starts in a bar where Quille is singing and meets Marco for the first time and quickly moves ahead from fall to spring and Marco's death. From there starts the mystery. Quille not believing the police when they rule Marco's death a suicide starts searching for who, why and what happened to him. The characters, dialog, and situations that are described in the story are believable. 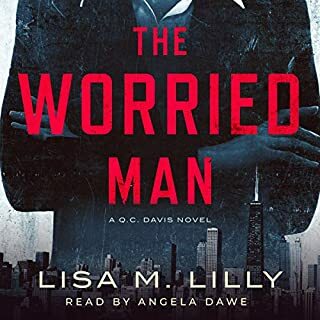 I look forward to more books by Lisa Lilly. Angela Dawe does an excellent job narrating this book. Each character has a recognizable voice making easy to follow the story. I enjoyed her narration so much that I am searching out more books that she has done! Annie Collins is an OR nurse who is used to caring for others - both inside the operating room, and in her own personal life. The friendship between Annie and Libby Crowder began deteriorating after Libby met the cold and wealthy Edward Matheisen, and quickly ended after she married him. It's been four years since Annie and Libby parted ways. But now she's back and seeking Annie's help. 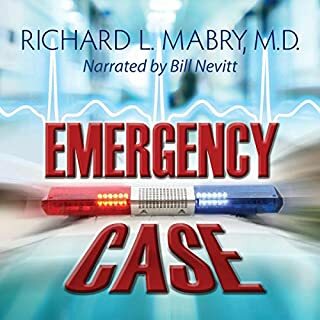 With puzzling symptoms and a plea for help, Annie can't help but wonder: Is Libby really ill or is there more to the story than what Libby is saying? On one hand, I loved this book and on the other, it was only okay. 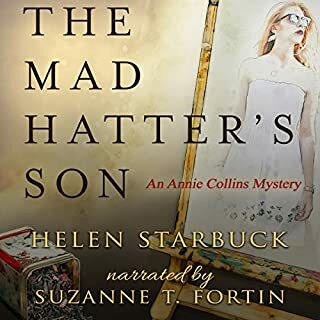 The Mad Hatter's Son grabbed my attention right from the beginning, it drew me in and wouldn't let go. There was a mystery, which I figured out somewhere in the middle, and yet I wanted to keep listening to see how it ended. This is a well written story and I look forward to more books by Helen Starbuck. The narration by Suzanne Fortin was okay. As much as the story was drawing me in the narration didn't. Ms. Fortin has a very soothing voice, but there isn't a lot of variation between the characters voices which makes it hard to figure out who is talking.